Pets Best Insurance: Why are fewer cats insured than dogs? For years there has been speculation as to why more dogs have pet insurance than cats. After all, it would seem that cat owners are just as attached to their felines as canine owners are. Yet, of the total number of insured pets, only 15-20% overall are felines. Why the difference? A major factor is the misconception by cat owners that cats don’t need pet health insurance as much as dogs, because dogs tend to be more accident prone. While there is truth that cats have less veterinary medical visits than dogs, cats still have costly medical conditions just the same as dogs. By nature, cats disguise their ailments. In fact, cats often hide their symptoms so well, it may cause medical conditions to become more severe when they are finally diagnosed. Adult cats are also more sedentary than dogs, which causes symptoms to go unnoticed early on. As pet owners, we expect our dogs to be running, fetching or following us around, and when they are not we become concerned. Because our expectations for cats tend to differ, we are often not as alert to early symptoms they display. Kittens have accidents due to their inquisitive nature, but they will likely have fewer accidents than puppies will. Both kittens and puppies have an immature immune system, making them more susceptible to disease. 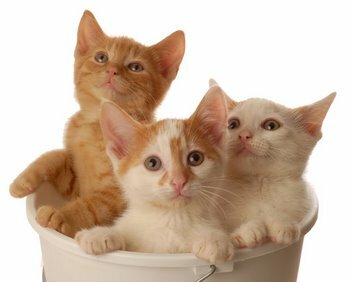 Kittens have more viral conditions, such as upper respiratory conditions, than adult cats which are usually vaccinated and have also developed some immunity. Feline Leukemia prevalence is highest from 1-6 years of age. Cystitis (bladder infections) is always one of our most frequent claims; while diabetes, kidney failure and cancer are some of the most costly conditions. The most common endocrine (hormonal) condition for cats is hyperthyroidism, an overactive thyroid. This condition is more common in adult and older cats (4-20 years of age). There are literally thousands of medical conditions that cats can acquire. A few of the more common conditions are: cystitis, dermatitis, kidney failure, leukemia, numerous types of skin tumors, oral tumors, feline infectious peritonitis, abscess, liver disease, heart disease, various poisons, mammary tumors (most are malignant), lymphosarcoma and asthma to name a few. With cats, an early diagnosis is important to restoring pet health. Watch for symptoms such as lack of appetite, vomiting, diarrhea, weight loss, lethargy, difficulty breathing, not playing, or drinking more or less than usual. Weigh your cat at least twice a year to check for weight loss and have your cat checked at least once a year by your veterinarian. Twice-a-year visits are recommended for older cats and kittens. Consider getting cat insurance for your feline, so that you will have financial help and peace-of-mind in knowing you can afford veterinary care. Feline pet insurance rates are typically less dogs’ and if you happen to have more than one pet, ask about multiple pet insurance discounts to save on your monthly premiums.